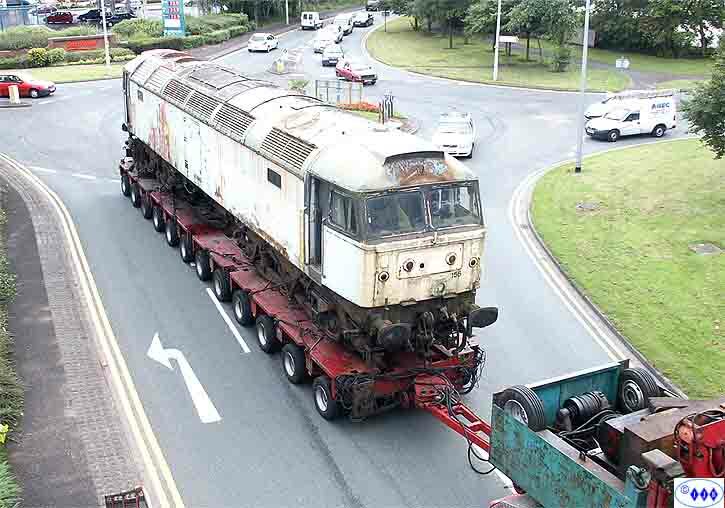 Today was the day that 47156, the second of two Class 47's to leave the LNWR workshops, departed en route for Glasgow. 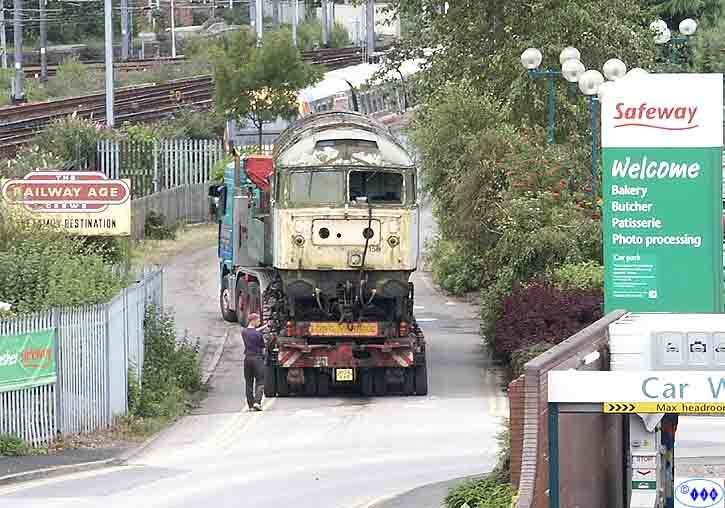 The locomotive has been acquired by DRS for either cannibalising or restoration. If it is to be the latter, I would hate to have to be part of the task. Final adjustments were being made to the holding chains before the journey commenced. 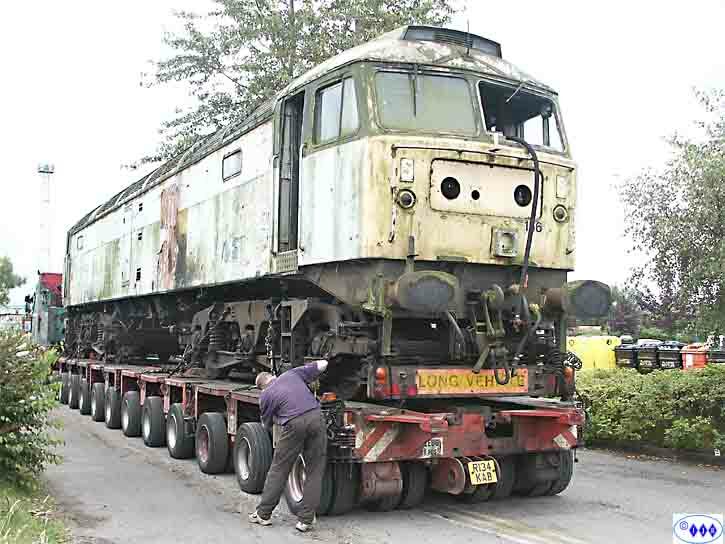 The growth on the body of 156 was almost as green as the FGW 47's. 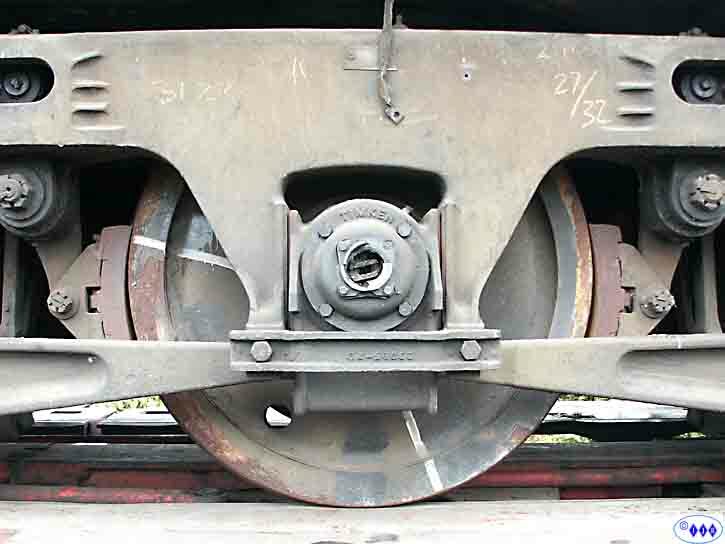 Well this was at least one reason why the engine could not be transferred by rail! 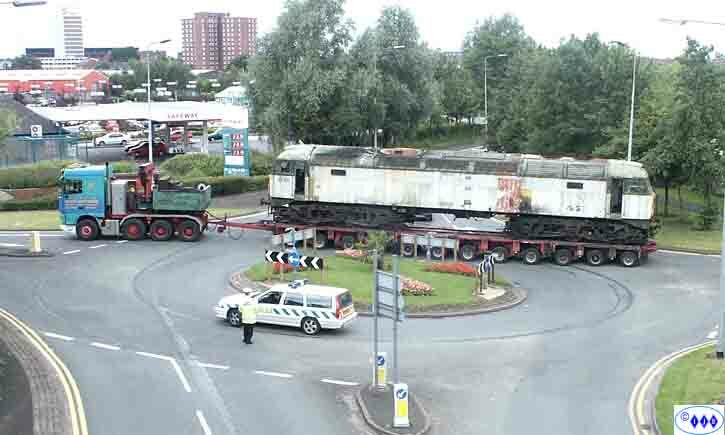 The Police had stopped traffic at the roundabout to enable the trailer to reverse onto it and then turn. Into the helicopter now to watch the antics, the Allely's driver was an absolute genius which is more than can be said for some of the motorists stopped by the Police from entering the roundabout! 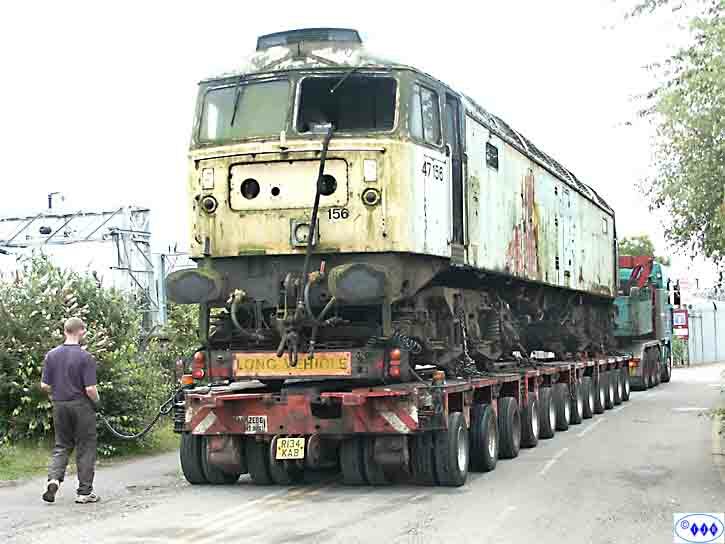 Carefully round the roundabout and away to Glasgow. It's easy really (apparently! ).